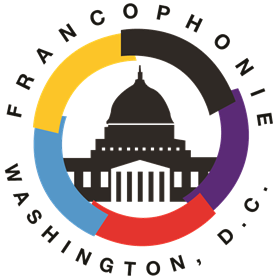 20 March marks the International Day of the Francophonie, and an opportunity for Luxembourg to reiterate its historic commitment to the French language. The International Association of French-Speaking Parliamentarians (today known as the Parliamentary Assembly of La Francophonie) was founded in 1967 in Luxembourg City. In 1970, Luxembourg was among the 21 founding members of the International Organization of La Francophonie. On 26 May 2019, all voters on the electoral roll in Luxembourg are called upon to elect the 6 Luxembourgish members of the European Parliament. Voting is mandatory for all registered voters. For those who are not on the electoral roll because they are not registered in a Luxembourg commune, but who hold Luxembourg nationality: they have the right to participate in the elections, but have no obligation to do so. 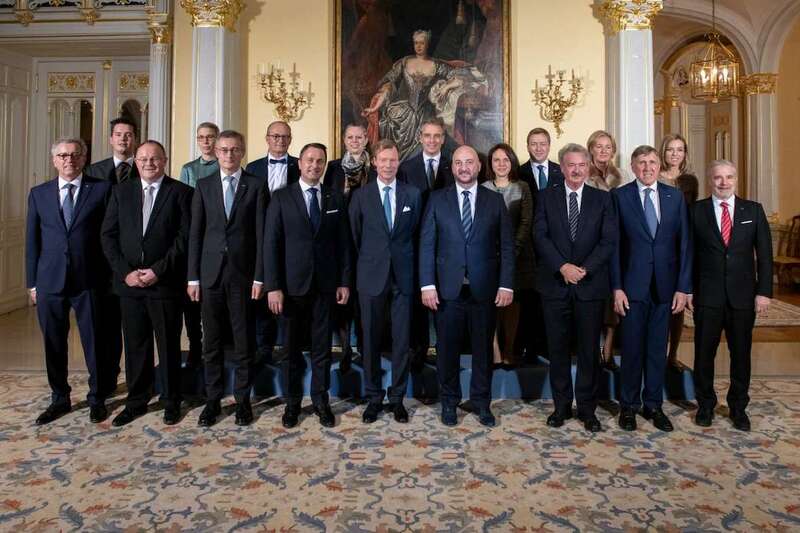 On 5 February, Luxembourg officially launched its Presidency of the Committee of Ministers of the Benelux Union, its third since the entry into force of the new Benelux Treaty in 2012. The Benelux Union aims to increase the prosperity and well-being of its citizens through better cooperation between its three member countries. More generally, the Benelux Union endeavours, through concrete projects and an exemplary cross-border collaboration, to support and promote European integration as a “European laboratory” ( http://www.benelux.int/fr ). The priorities of the Luxembourgish Presidency in 2019, which marks also the 75th anniversary of the Benelux Customs Union, are : energy transition and the fight against climate change, the deepening of the internal market as well as the promotion of digitalisation. 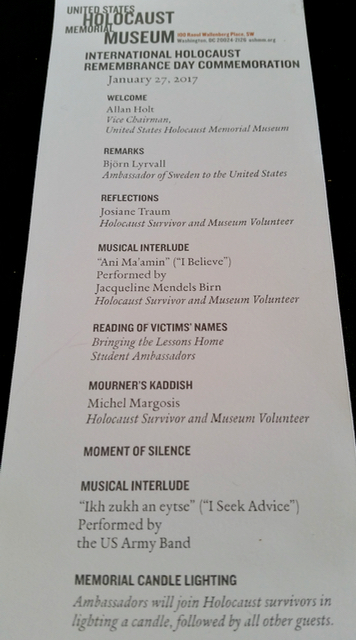 Last Friday, Ambassador Sylvie Lucas took part in the Commemoration ceremony on the occasion of the International Holocaust Remembrance Day, organized at the US Holocaust Memorial Museum, in the presence of Holocaust survivors. In 2005, the United Nations General Assembly designated 27 January, the anniversary of the liberation of the extermination camp of Auschwitz-Birkenau, as an annual International Day of Commemoration in memory of the victims of the Holocaust and urged Member States to develop educational programs that will inculcate future generations with the lessons of the Holocaust in order to help to prevent future acts of genocide. Deputy Prime Minister and Minister of the Economy Etienne Schneider participated in the annual Conference on European Space Policy placed this year under the theme of “Space for Europe, European Space in the World”. 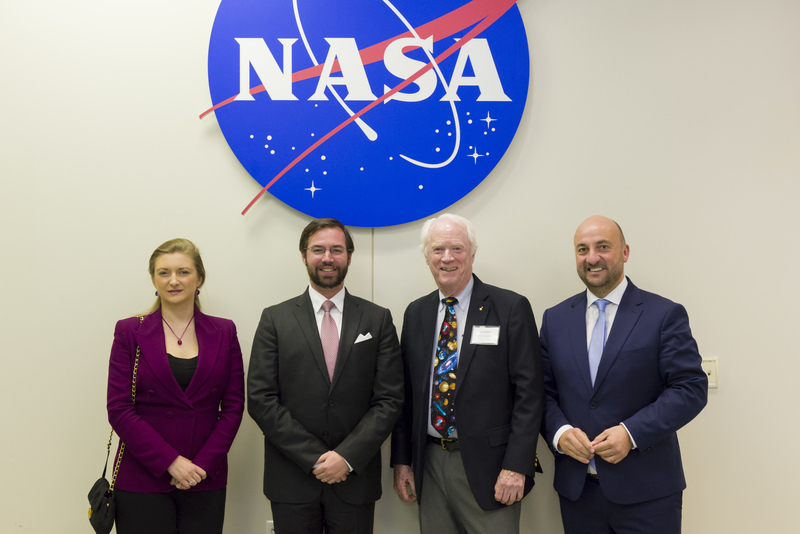 He intervened on a panel on Financing the ambitions of European Space. In the margins of the conference, the Deputy Prime Minister and his Belgian colleague, Deputy Prime Minister Didier Reynders, signed a joint declaration in which the two countries commit to collaborate on the development of an international partners for the exploration and utilization of space resources. “(…) The Grand Duchy is firmly committed to supporting the competitiveness of the commercial space industry in Europe. Together with our partners, we want to further develop knowledge and skills, while encouraging investment, particularly from the private sector, to develop and implement technological, operational and financial solutions. (…)" stated Minister Schneider. 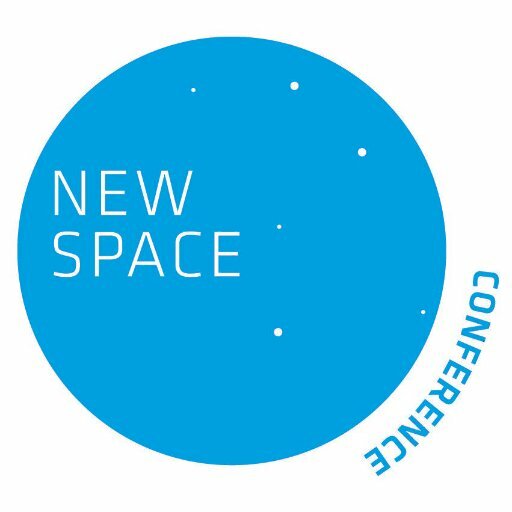 For the second time, Luxembourg hosted the only annual space conference in Europe that focuses solely on the NewSpace industry and the economic opportunities of space. 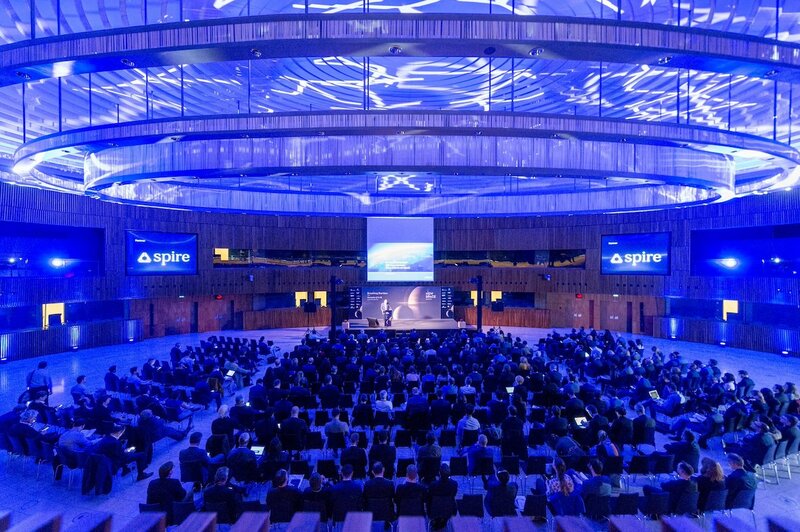 NewSpace Europe was organized by the Luxembourg Space Agency in Luxembourg city, in cooperation with the Space Frontier Foundation and Spire. The conference centered on the theme of “Breaking Barriers” and discussed ways that current barriers are overcome in launch, remote sensing, space-based economy, investment, and communications. The program included panels on a future lunar economy, space based economy, earth observation and data analysis, among many others. Speakers included a number of US based experts and professionals, among which Jim Cantrell, Co-Founder and CEO of Vector Launch, Clay Mowry, Vice-President of Blue Origin and Dennis Stone, Project Executive of Collaborations for Commercial Space Capabilities at NASA. The President and CEO of Luxembourg-headquartered SES, Steve Collar, delivered one of the keynotes and discussed how SES, the world-leading satellite operator, looks ahead to the new wave of satellite technology powering the future, the O3bmPOWER system. 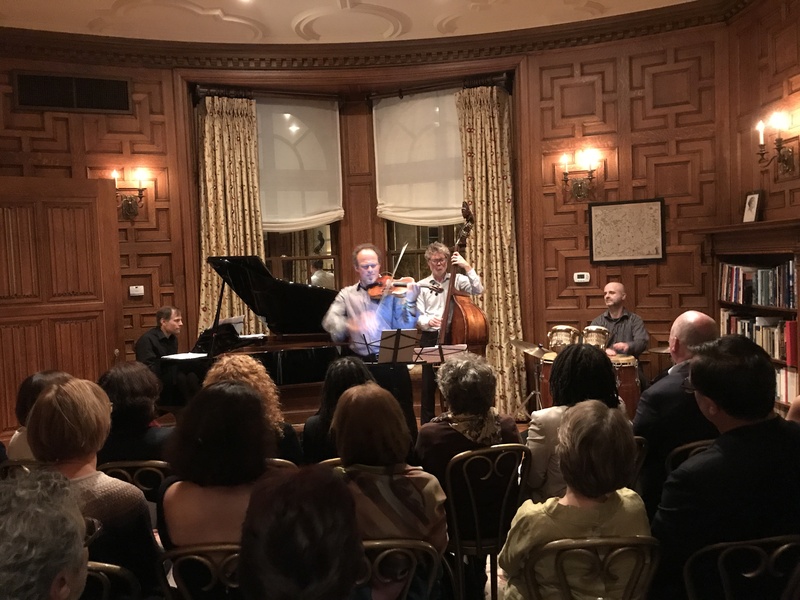 In partnership with the DC JAZZ FESTIVAL, the Embassy of Luxembourg was proud to present the German-Brazilian-Luxembourgish jazz quartet “El Violin Latino” featuring the Luxembourg percussionist Jérôme Goldschmidt. 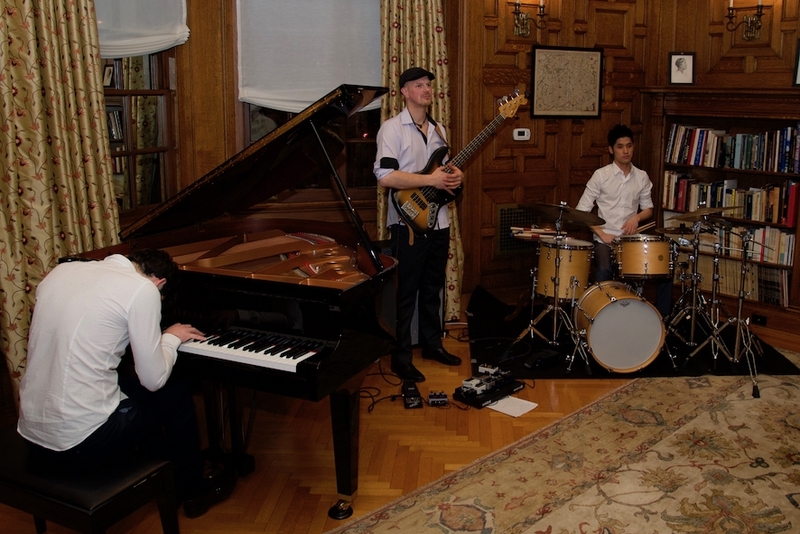 Latin-American rhythms, spiced up with jazzy ingredients, enthused the audience. 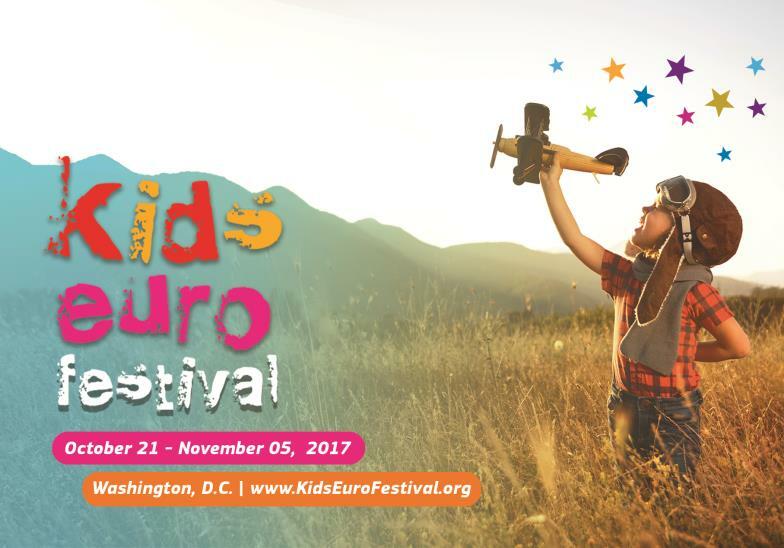 The band and its unique sound will be back in Washington next year, as the Board of the DC Jazz Festival has invited “El Violin Latino” to perform at the Jazz Festival in June 2019. “El Violin Latino” is composed by Gregor Hübner on the violin, Klaus Müller on the piano, Itaiguara Brandão on the bass and Jérôme Goldschmidt on the percussions. 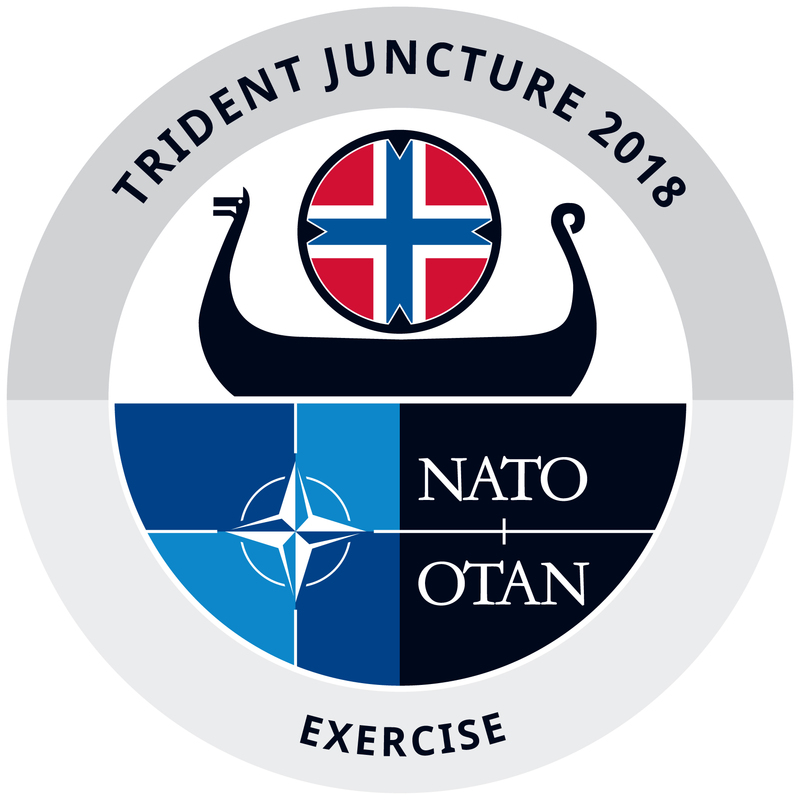 Trident Juncture brings together over 50,000 personnel from all 29 Allies as well as partners Sweden and Finland. Luxembourg participates with 100 troops that include in particular one Intelligence, Surveillance and Reconnaissance (ISR) company. A Luxembourg transport peloton was also involved in the challenging run-up to the exercise which entailed moving the troops and the material from all Allies’ territories to Norway. NATO Allies are testing their ability to defend their populations and territories, deter potential adversaries and work together with partners in NATO's biggest exercise in recent years. The exercise takes place in Norway and in the surrounding areas in the North Atlantic and the Baltic sea, including the airspace of Finland and Sweden, and the exercise is happening on land, in the air, at sea and in cyberspace. The exercise will test NATO’s ability to plan and conduct a major collective defence operation under an Article 5 scenario. As is customary, all Member States of the Organization for Security and Co-operation in Europe (OSCE) have been invited to send observers. 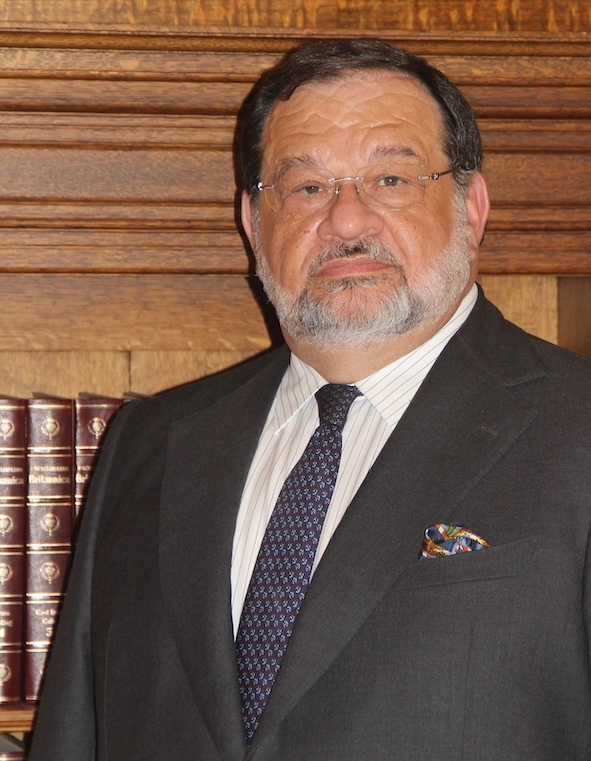 It is with great sadness that the Embassy of Luxembourg shares the news of the passing of Ambassador Jean-Louis Wolzfeld on Sunday, October 14, 2018. Ambassador Wolzfeld served as Luxembourg’s Ambassador to the United States from 2012 until his retirement in July 2016. We express our heartfelt condolences to Ambassador Wolzfeld’s family and friends.He will be truly missed. 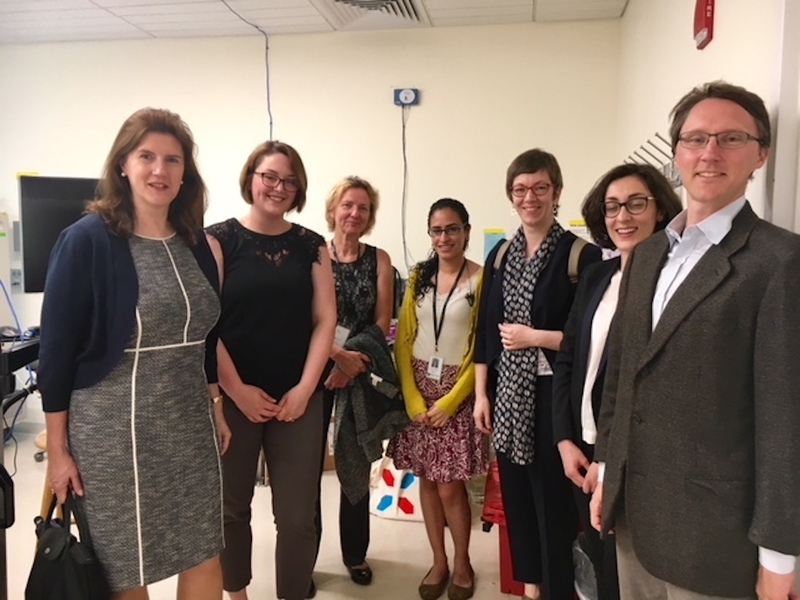 The Miami University Dolibois European Center (MUDEC) celebrates its 50th anniversary in Luxembourg this week and hundreds of alumni have travelled to Luxembourg to take part in the festivities and to reconnect with friends and former host families. 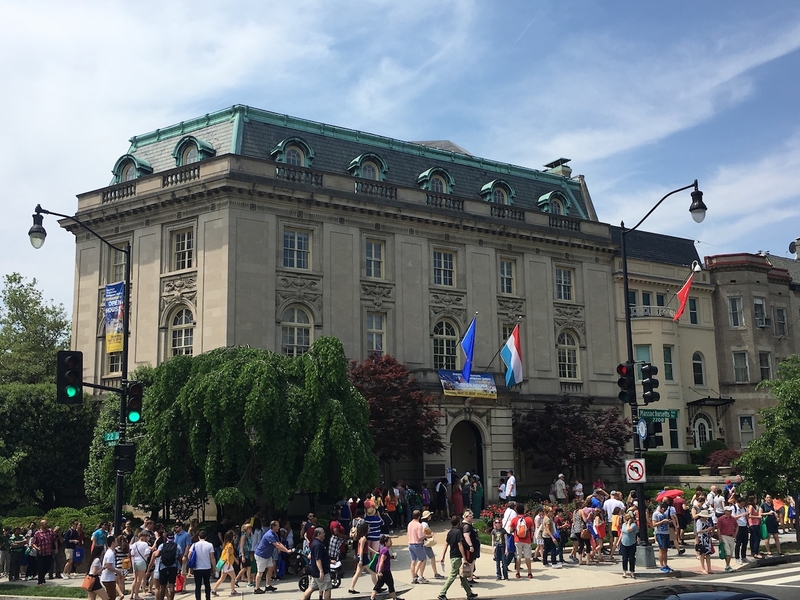 Over the past fifty years, more than 12,000 Miami students have studied in Luxembourg for one or two semesters and over 150 Luxembourgers have studied on Miami University’s main campus in Oxford, OH. 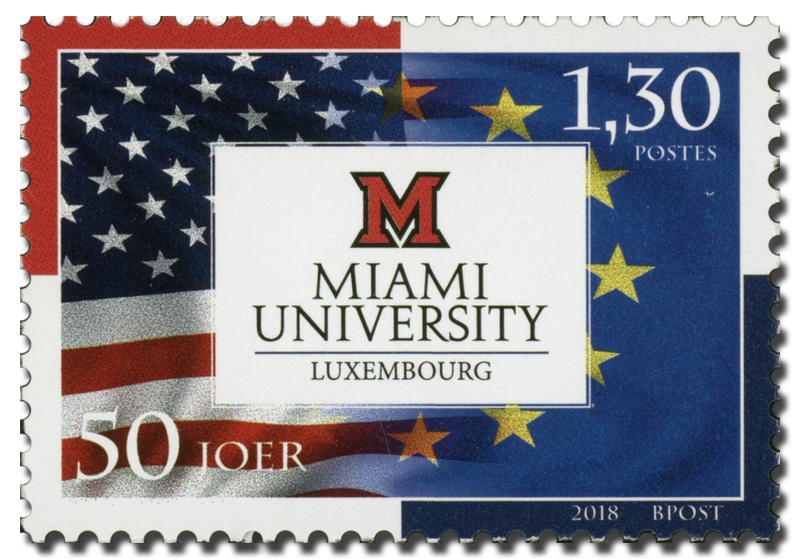 MUDEC is one of the oldest and well-established study abroad programs in the United States and continues to contribute to forging lasting ties between the United States and Luxembourg, in academia as well as in the economic and cultural spheres. 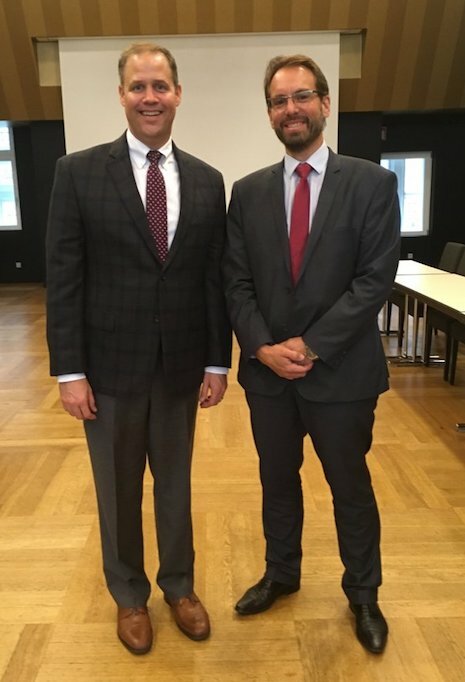 On 3 October, the CEO of the Luxembourg Space Agency (LSA) , Marc Serres, met with NASA Administrator Jim Bridenstine in Bremen, Germany, at the 69th International Astronautical Congress for an exchange of views about Luxembourg’s SpaceResources.lu initiative. On 14 October 2018, all Luxembourg citizens are called upon to directly elect the 60 members of the Luxembourg Chamber of Deputies (Chambre des députés). The Chamber of Deputies is the national Parliament in the Luxembourg unicameral system. The legislative elections are for Luxembourg nationals only and voting is mandatory for all registered voters. For those who are not on the electoral lists because they are not registered in a Luxembourg commune, but who hold Luxembourg nationality : they have the right to participate in the elections, but have no obligation to do so. Voting by absentee ballot is possible for all voters who are not in Luxembourg on the day of the election. More information can be found in this article. EU-NATO cooperation is an integral pillar of the European Union’s work aimed at strengthening European security and defense, as part of the implementation of the EU Global Strategy. Ahead of the NATO Summit in Brussels on 11 and 12 July, Donald Tusk, President of the European Council, Jean-Claude Juncker, President of the European Commission, and Jens Stoltenberg, NATO Secretary General, signed on 10 July a joint declaration setting out a shared vision of how the EU and NATO will act together against common security threats. Click here to download the full text of the declaration. Prime Minister Xavier Bettel, Deputy Prime Minister and Minister of Defense Etienne Schneider and Foreign Minister Jean Asselborn received the Secretary General of NATO, Jens Stoltenberg, for a working visit in Luxembourg on 25 June. They discussed the preparations of the NATO Summit, which will take place on 11-12 July in Brussels, as well as Luxembourg’s contributions to NATO and EU-NATO cooperation. 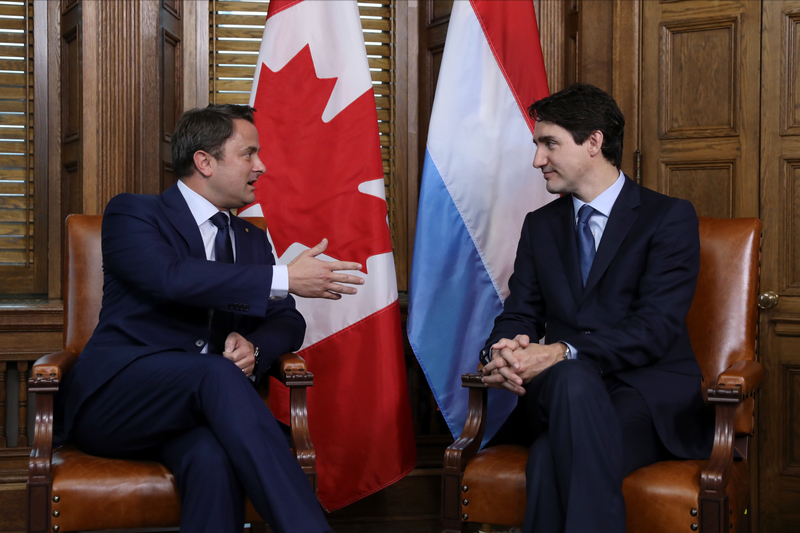 Prime Minister Bettel declared that “the Transatlantic Alliance is based on common values. We reaffirm the necessity of unity, solidarity and the transatlantic relationship”, and added “NATO has managed to maintain the peace in Europe for more than half a century, and we have to do everything to keep things that way”. Deputy Prime Minister and Minister of Defense Etienne Schneider stated that “Luxembourg has taken concrete commitments for a reinforcement of European Defense within the European Union and within NATO. Luxembourg will honor its commitments and increase its defense effort in a useful and reliable way. We will create new defense structures in Luxembourg for useful military contributions and to respond to national needs for crisis management." 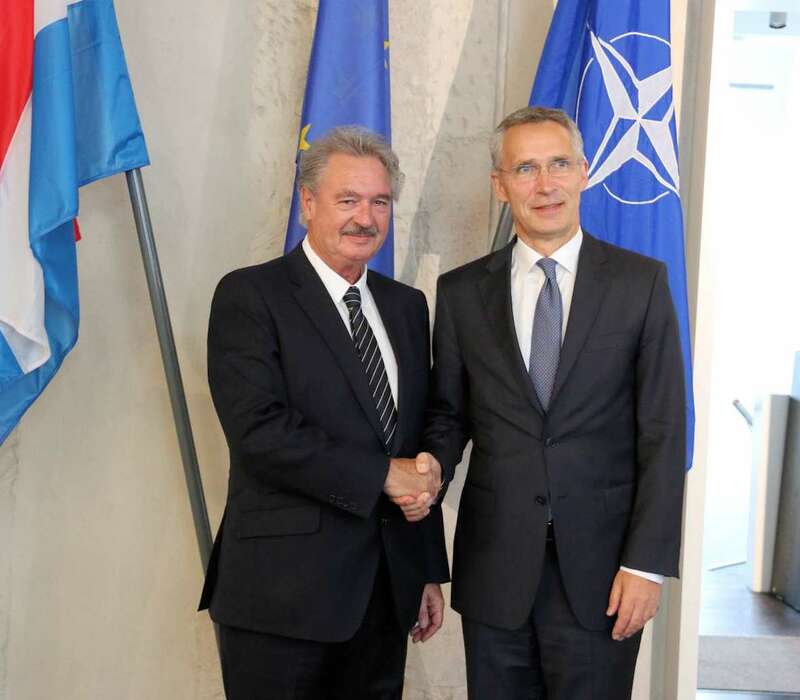 Minister for Foreign and European Affairs Jean Asselborn underlined that Luxembourg attaches great importance to the strengthening of the cooperation and complementarity between NATO and the European Union : “the EU’s efforts in the context of its global strategy contribute to better defense capabilities and will also benefit NATO”. Secretary General Stoltenberg also participated in the celebrations of the 60th anniversary of the NATO Support and Procurement Agency and of the 50th anniversary of its establishment in Luxembourg. In this video message, the EU Ambassadors to the United States set the record straight on EU-US trade. As the two most free and open economies in the world, let’s focus on what benefits us both. 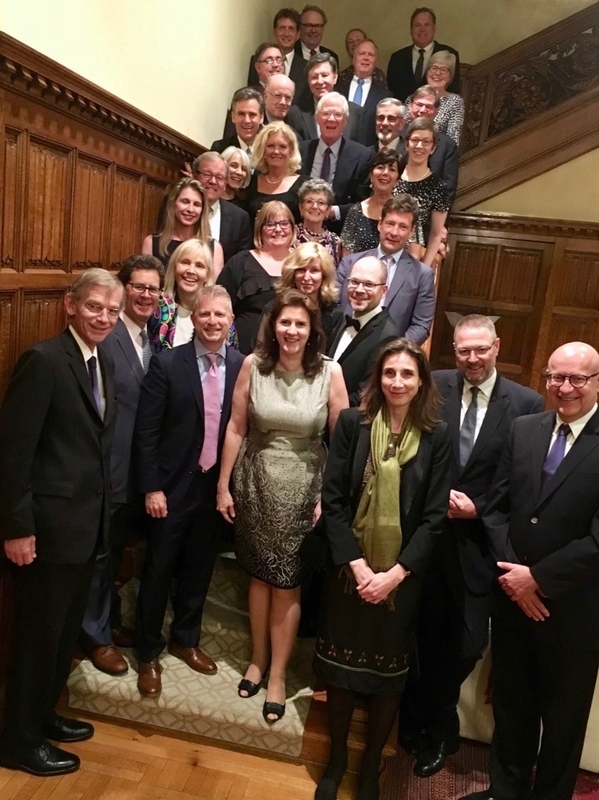 On 11-12 June, Luxembourg’s Honorary Consuls and Foreign Trade Counsellors in the United States, Canada, Mexico and Barbados met in Washington DC for two days of discussions and presentations. Alongside the Embassy and the Consulates General/ Luxembourg Trade and Investment Offices in New York and San Francisco ,Honorary Consuls and Foreign Trade Counsellors constitute an important element in Luxembourg’s network of representation abroad and play a valuable role in the promotion of Luxembourg’s culture, tourism and trade as well as the relations with the Luxembourg communities and communities of Luxembourg heritage across North America. 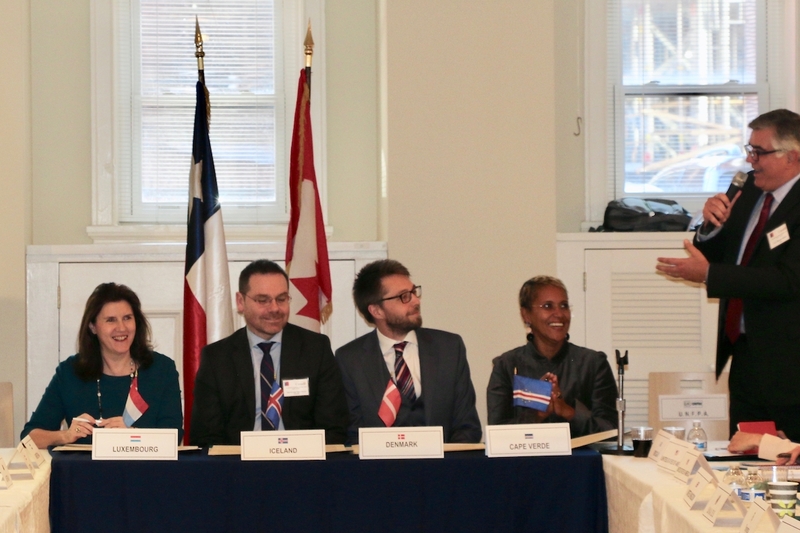 The Presidents and Executive Directors of the Luxembourg American Cultural Society respectively the Luxembourg American Chamber of Commerce also took part in the Consular Days 2018. 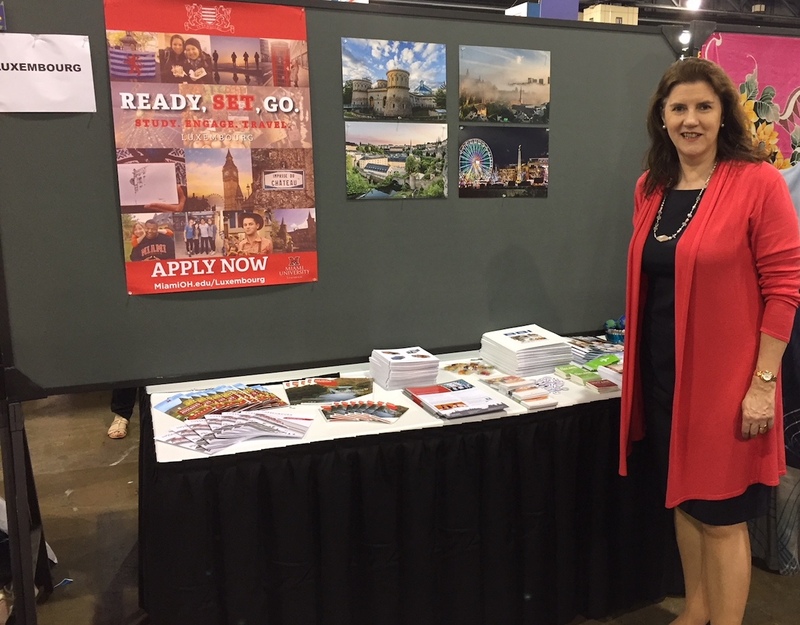 On May 31, Ambassador Lucas attended the 2018 NAFSA Conference and Expo in Philadelphia. She presented Luxembourg and its higher education opportunities at the “Country Poster Fair” and offered a networking reception at the booth of the University of Luxembourg ( wwwen.uni.lu ) with the international partners of the University, which has made international cooperation one of its priorities and considers it an important tool to reach excellence in research and education. The University of Luxembourg is one of the few in the world to be multilingual and has students, researchers and professors from all over the world. 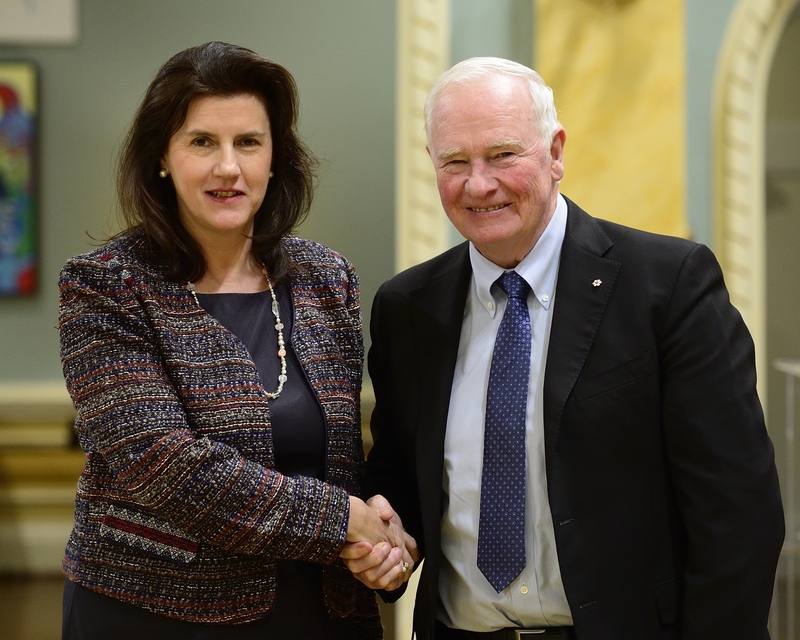 A series of agreements with partner universities worldwide, including in the United States and Canada, contribute to the promotion of student mobility. 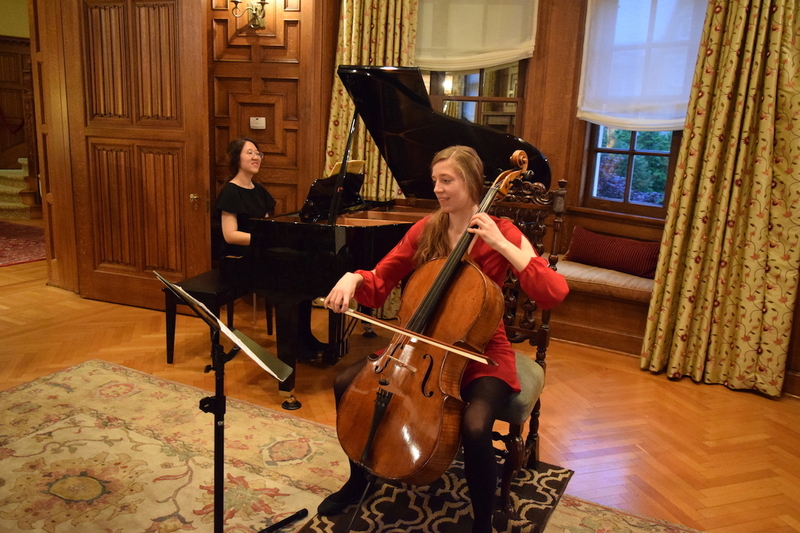 To celebrate the European Month of Culture, the Luxembourg Embassy in Washington, DC, welcomed Luxembourg cellist Caroline Mirkes and pianist Jenny Jieun Park for a recital of Shostakovich’s Sonata for Cello and Piano in d minor, Op. 50, as well as Mendelssohn-Bartholdy’s Sonata for Cello and Piano No. 2 in D Major, Op. 58. After her initial music studies in her home country Luxembourg, Caroline Mirkes studied at the Escola Superior de Musica de Catalunya, where she graduated with a Master of Arts after only one year. New York then became her next destination. 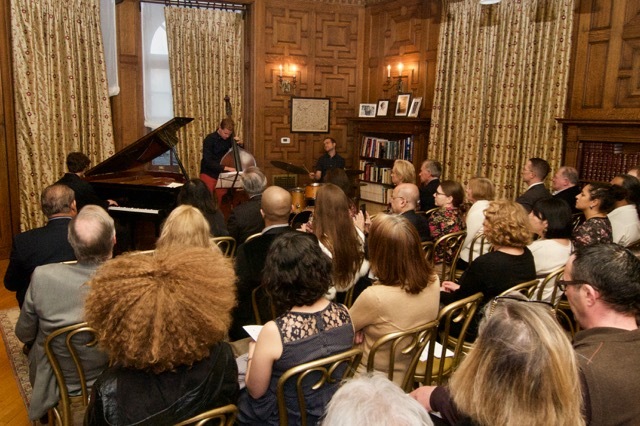 Since fall 2016, Ms. Mirkes has been pursuing her studies as a Fulbright Scholar in the Graduate Program of New York University with cello professor Marion Feldman. In addition, Ms. Mirkes is a lecturer for Undergraduate Non-Majors at NYU. Now in its 6th year, the “European Month of Culture” highlights the diverse cultures of the 28 European Union Member States through musical performances, art exhibits and tours, film screenings and lectures, illustrating beautifully the EU motto “United in Diversity”. Last Saturday, more than 4800 visitors took up our invitation to discover not only the mansion, purchased in 1941 by H.R.H. 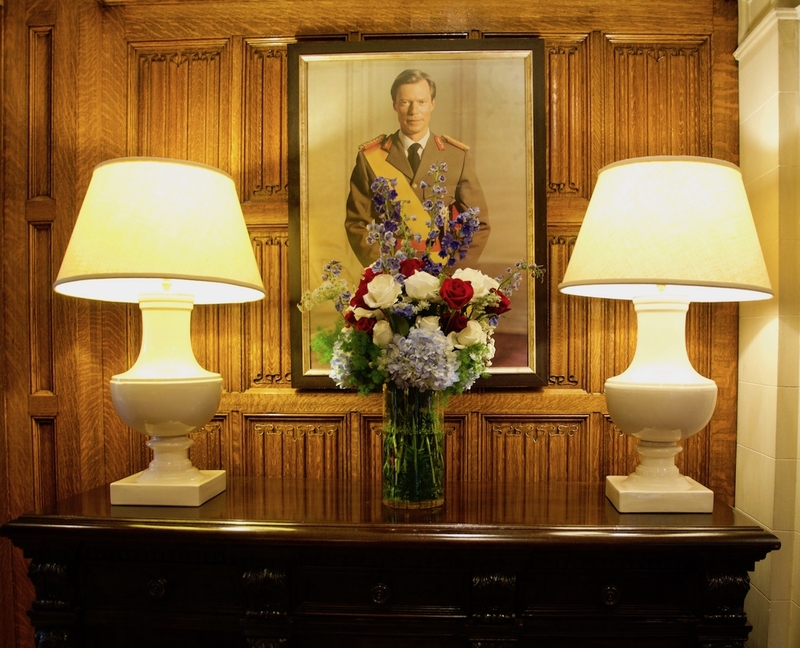 Grand Duchess Charlotte, that hosts until this day the Luxembourg Embassy to the United States, but to learn also about modern day Luxembourg. Thank you all for your visit and see you next year ! Luxembourg, Let’s make it happen. On 26 March, upon invitation of its members, Luxembourg officially joined the Equal Rights Coalition (ERC) alongside Cabo Verde, Denmark and Iceland. Ambassador Sylvie Lucas signed the Founding Principles of the Coalition on behalf of Luxembourg. The intergovernmental Equal Rights Coalition is dedicated to the protection of the rights of LGBTI people. It was launched in July 2016, under the leadership of Uruguay and the Netherlands at the Global LGBTI Human Rights Conference in Montevideo. The ERC advances the human rights of LGBTI persons and promotes inclusive development in both member and non-member countries. With 39 member states, the ERC advances its agenda by engaging with civil society organizations and multilateral agencies. Luxembourg has an active policy of promoting LGBTI rights globally, through foreign policy and development policy instruments, as well as in multilateral organizations, while, at the same time, the Luxembourg government continues to work to guarantee equal rights for LGBTI people at the domestic level. The film The Breadwinner, co-produced by Luxembourg’s Melusine Productions, tells the story of a young Afghan girl, Pavana, who disguises herself as a boy in order to provide for her family under the Taliban regime. The film is directed by Nora Twomey from Ireland and the film was co-produced with Ireland’s Cartoon Saloon and Canada’s Aircraft Pictures, with Angelina Jolie as the executive producer. The production received funding from the Film Fund Luxembourg. 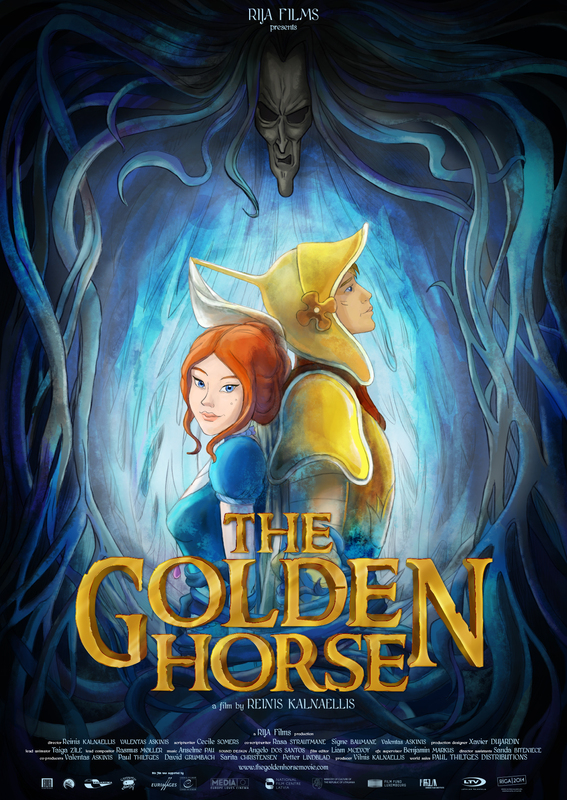 This is the third nomination for an Oscar for Melusine Productions. 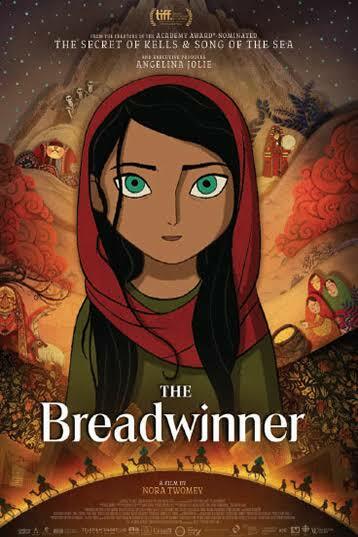 In October, the Breadwinner won the jury’s Grand Prize and the Audience Award at the Animation Is Film in Hollywood. In 2014, another Luxembourg production company, Zeilt Productions, received the Oscar for Best Animated Short for “Mr. Hublot”. 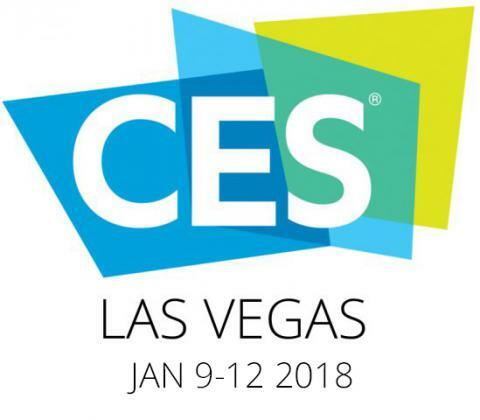 Luxembourg will be present for the first time with its own pavilion at the CES, the Consumer Electronics Show in Las Vegas, currently the most important international exhibition dedicated to technological innovation. SpaceNews established its “Awards for Excellence & Innovation” to honor “the well-known champions and the unsung heroes” shaping the global space industry. 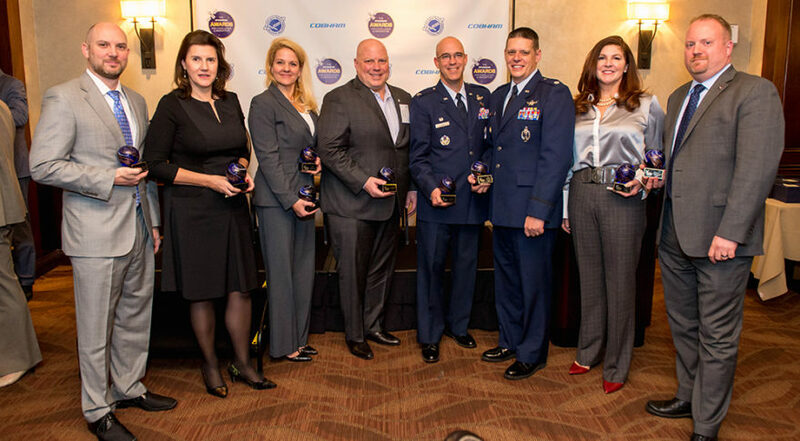 The winners were recognized during an awards luncheon held on December 19th at the City Club of Washington and organized in partnership with the Washington Space Business Roundtable. 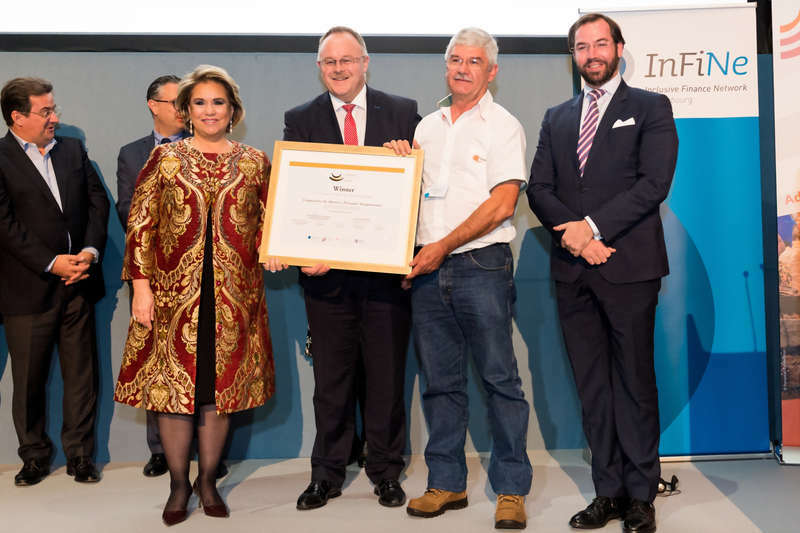 Ambassador Sylvie Lucas had the honor to receive the prize on behalf of Deputy Prime Minister and Minister of the Economy Etienne Schneider at that occasion. SpaceNews, who made the selection after an open nomination process that concluded with a reader poll, recognized Minister Schneider in the category of the Civilian Government leader of the year for his commitment to promote the exploration and the utilization of space resources and for his initiative to make Luxembourg a European hub in this field, through the spaceresources.lu initiative. Other awardees include startup of the year Kymeta, Military Government leader of the Year Gen. John Hyten, USSTRATCOM and Corporate Leader of the Year Gwynne Shotwell, SpaceX President and COO. On 13 December, Ambassador Lucas and the Chargé d’affaires a.i. 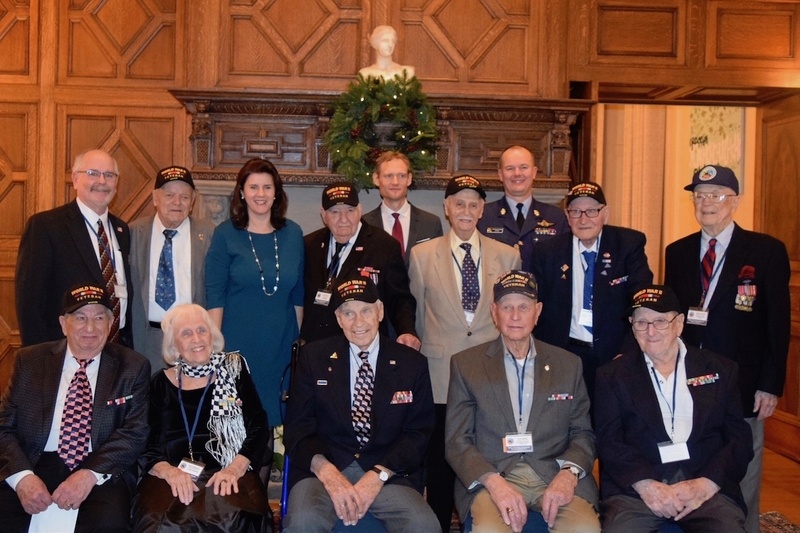 of the Embassy of Belgium, Christophe Payot, welcomed the Battle of the Bulge Association, including 9 veterans and their families, to the Embassy of Luxembourg for the annual Battle of the Bulge anniversary commemorations in Washington DC. Luxembourg and Belgium remain deeply grateful for the sacrifices of so many American soldiers in the Battle of the Bulge, from 16 December 1944 to 25 January 1945. The Battle of the Bulge was the last major German offensive campaign on the Western Front during World War II. It was launched through the densely forested Ardennes region at the border of Belgium and Luxembourg. The Battle of the Bulge was the largest and bloodiest battle fought by the United States in the European theater during World War II. The Consul of the Luxembourg Embassy, Mr. Stan Myck, attended the annual Battle of the Bulge commemoration dinner on 14 December. 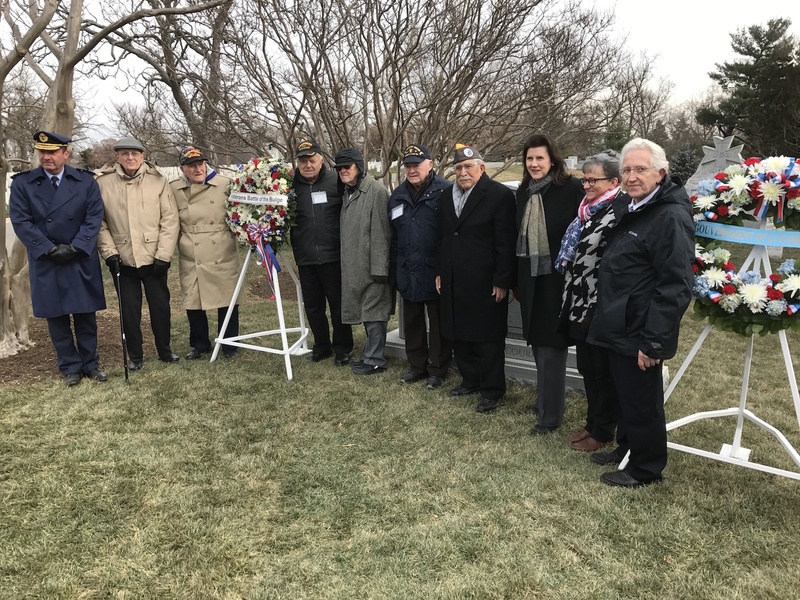 On 15 December, the Battle of the Bulge Association, together with the Embassies of Luxembourg and Belgium held a wreath-laying ceremony at the Memorial of the Battle of the Bulge at Arlington National Cemetery. Ambassador Lucas laid a wreath on behalf of the Government of Luxembourg. Every year on 6 December, children throughout the Grand Duchy of Luxembourg eagerly await the arrival of the "Kleeschen" (St. Nicholas) and the gifts he brings. "Niklosdag" (St. Nicholas’ Day) is celebrated in honor of Nicholas of Myra, also known as Nicholas of Bari, a young bishop in the 4th century who, according to legend, saved a number of children from death. In the Middle Ages, St. Nicholas became the patron saint and protector of young children. Towards the beginning of the 17th century, the tradition of St. Nicholas is said to be taken to the United States by European immigrants, where it spread rapidly. Ultimately, the "Kleeschen" became Santa Claus. Luxembourg tradition has it that on the eve of "Niklosdag" the amiable bishop, accompanied by his acolyte "Houseker", brings gifts to the children of the house. 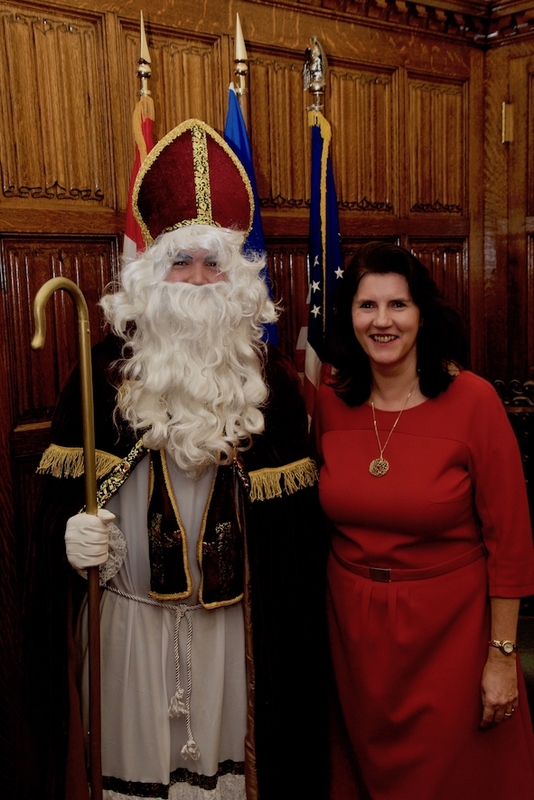 In the Grand Duchy, St. Nicholas' day is a school holiday for children in elementary school. Here in Washington, “Kleeschen" visited the Embassy of Luxembourg somewhat early, delivering last Friday already gifts to the children of the Luxembourg community. The Luxembourg Minister of Foreign and European Affairs Jean Asselborn participated on 30 November in the Global Forum on Steel Excess Capacity convened in Berlin by Brigitte Zypries, Minister for the Economy and Energy of Germany. 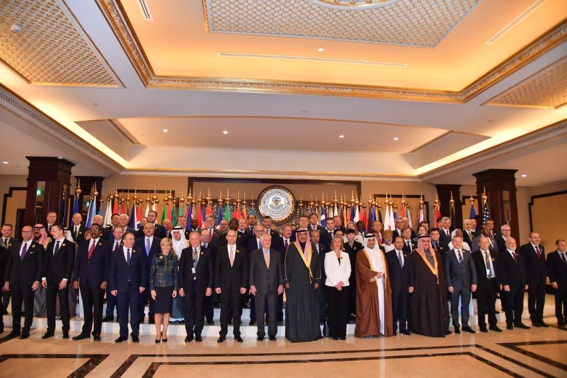 The Global Forum brings together 33 member economies representing more than 90% of global steel production and capacity. It is composed of the Member States of the G20 as well as a number of other OECD Member States and was established in December 2016 following the G20 Summit in Hangzhou, with a view to tackling issues related to excess capacity in the steel sector. At the 30 November meeting, participants agreed on concrete steps to do so, thus also sending a positive signal about the importance of multilateral cooperation on issues of common concern, just a few days before the opening of the Ministerial meeting of the WTO in Buenos Aires. Minister Asselborn called on all participants to adopt effective measures to address steel excess capacity and go beyond mere declarations. 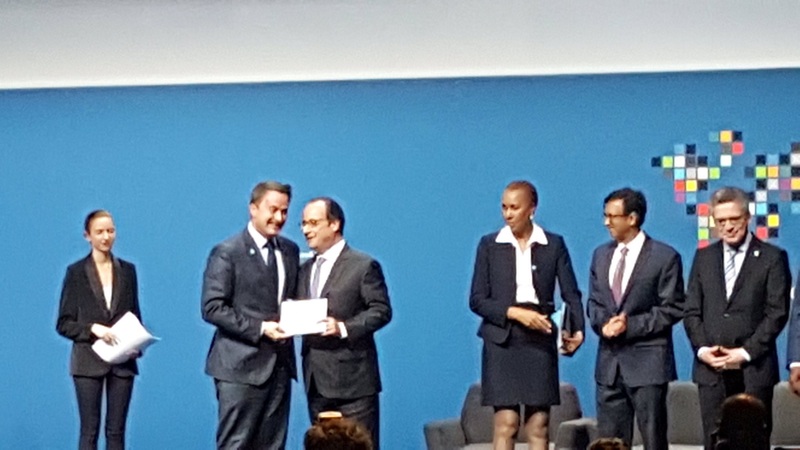 The Minister recalled that the livelihoods of many steel workers depended on the decisions taken at the Global Forum. In recognition of extraordinary service and leadership, the American Chamber of Commerce (AMCHAM) honored Deputy Prime Minister, Minister of the Economy, Étienne Schneider and bestowed on him the AMCHAM Economic Strength and Prosperity Award. 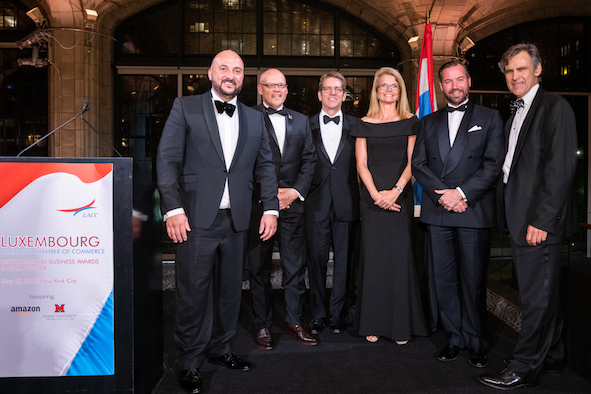 During the ceremony, the Chairman and CEO of AMCHAM Luxembourg, Paul-Michael Schonenberg, stated: "We honor the Deputy Prime Minister and Minister of the Economy for his tireless efforts promoting and ensuring the continued success of the Luxembourg economy. Minister Schneider’s vision and enthusiasm continuously inspire new companies to establish their European headquarters in the Grand Duchy while likewise encouraging long-term international companies already located here to stay." With more than 170 nationalities present on its territory and with foreigners representing almost 48% of the total population, Luxembourg is a country that is both deeply multicultural and open to the world. In order to meet the needs of a growing English-speaking population and of English-speaking non residents, Guichet.lu has therefore translated its Internet Portal . It is now available in English in its entirety. This evolution of the site will help companies planning to post staff to Luxembourg and people wishing to settle in the country to learn about the administrative procedures they need to carry out to live and work in Luxembourg. • ... a vision for development shared across government and by the public, which guides its co-operation policy and international action, and establishing it as a strong actor in the success of the 2030 Agenda. • ... a high volume of official development assistance - around 1% of its GNI since 2000 - focused on a small number of sectors and countries, boosting the impact of its co-operation programme, its visibility and its influence. • ... a practice of the Busan principles, both in terms of organisation and programming, which further contributes to development effectiveness. On the occasion of the annual meetings of the IMF and the World Bank Group, H.R.H. 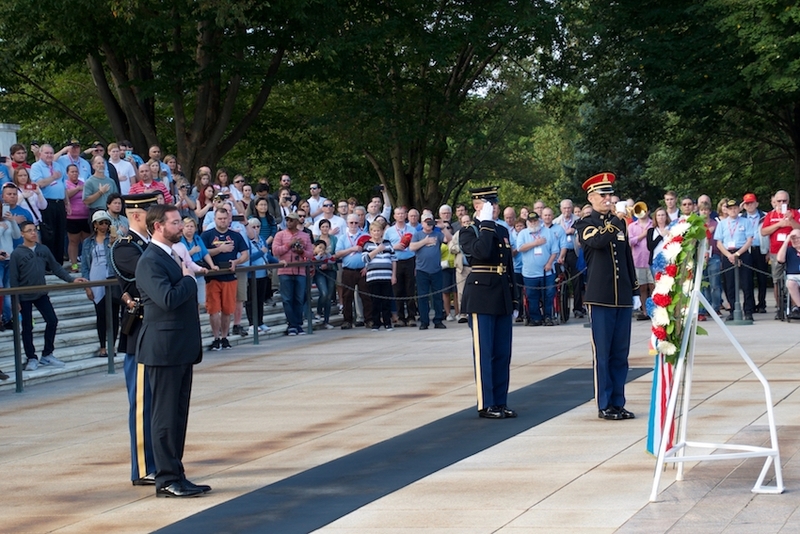 Prince Guillaume, Hereditary Grand Duke of Luxembourg, visited Arlington National Cemetery, accompanied by Finance Minister Pierre Gramegna. H.R.H. Prince Guillaume laid wreaths at the Memorial of the Battle of the Bulge as well as at the Tomb of the Unknown Soldier, to pay his respects to the American soldiers who gave their lives for the liberation of Luxembourg in World Wars I and II. On 13 and 14 October, H.R.H. 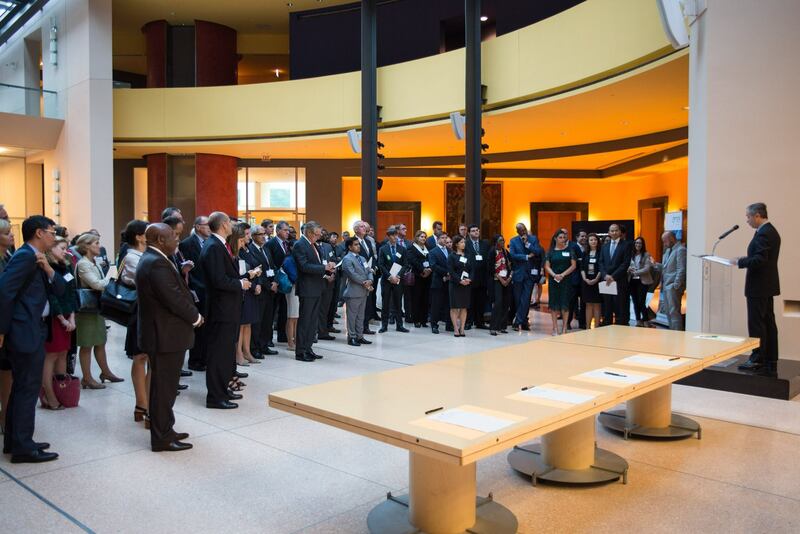 Prince Guillaume, Hereditary Grand Duke of Luxembourg, and Minister Pierre Gramegna attended the fall meetings of the IFIs. On that occasion, they had a number of bilateral meetings and exchanges of views, including with Dr. Jim Yong Kim, President of the World Bank, Ms. Kristalina Georgieva, CEO of the World Bank and IMF Managing Director Christine Lagarde. The meetings were an opportunity to discuss the state of the global economy, the implications of the digital revolution and the development of Fintech as well as global challenges like climate change and international terrorism. 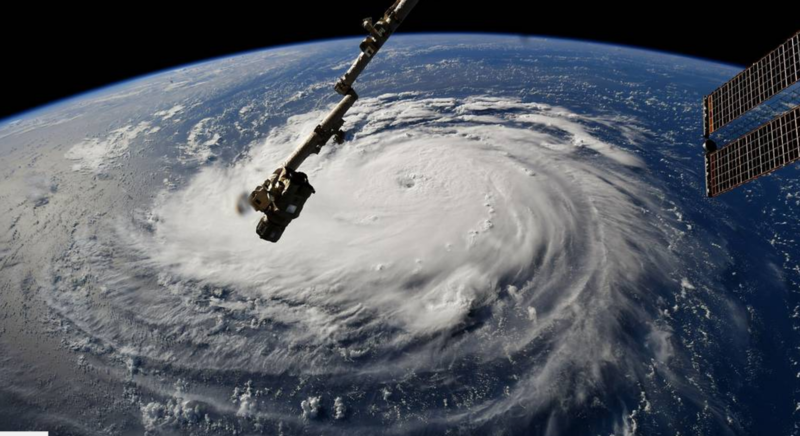 In response to a request by the World Food Program (WFP) after Hurricane Irma struck the Caribbean, Luxembourg dispatched a team of four telecommunications experts from their humanitarian task force to deploy two emergency.lu satellite communications systems to the Caribbean. emergency.lu is a mobile, satellite based, telecommunications platform that was created to re-establish internet and phone communication after a natural disaster and can be rapidly deployed to support the coordination efforts of humanitarian organizations on the ground by reestablishing connectivity, and thus contributes to saving lives in humanitarian emergencies. It is a public-private partnership between the Luxembourg government and three Luxembourg companies (SES Techcom Services, Hitec Luxembourg and Luxembourg Air Ambulance SA). 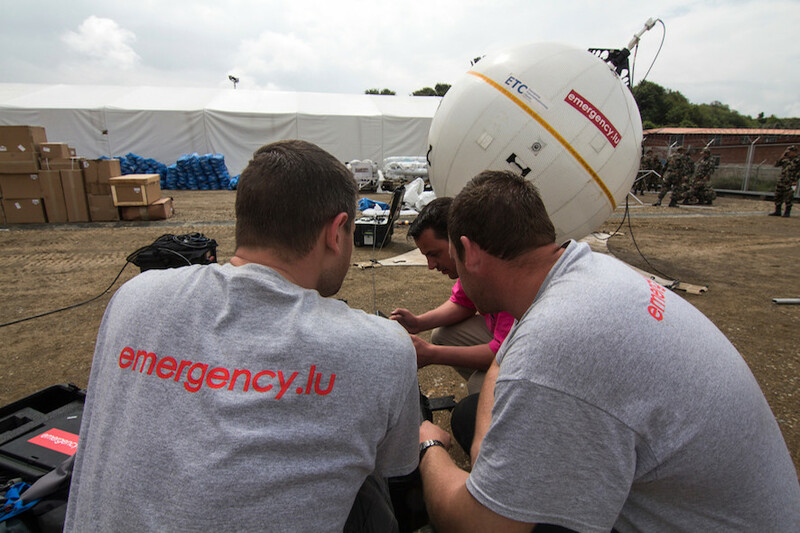 Luxembourg provides emergency.lu services as a free global public good to the humanitarian community and works closely in this context with the WFP, the global lead agency of the emergency telecommunications cluster, as well as other UN agencies. The emergency volunteers left for Antigua on the evening of 11 September 2017. Their objective is to reestablish the communication services in the affected areas, in coordination with government officials and the WFP regional coordinator. If you need immediate emergency assistance, call 911 for local emergency services. The Grand Duchy of Luxembourg has renewed its commitment to support stabilization and humanitarian activities through mitigation of explosive hazards in Mosul, Iraq with a contribution of 500,000 Euros to the United Nations Mine Action Service (UNMAS). The battle with Daesh in Mosul drove much of the population to leave their homes and has damaged many neighborhoods in West Mosul. This is affecting the return of over half a million civilians. One of the main concerns for people returning to Mosul, now and in the future, is the extensive presence of explosive hazards such as Improvised Explosive Devices (IEDs) and unexploded ordnance (UXO). Based on priorities identified by the Government of Iraq and the local authorities in Mosul, the contribution by Luxembourg allows UNMAS to extend its support and activities to ensure that explosive hazards are identified and removed, enabling lifesaving work and supporting the safe return of IDPs to Mosul. Luxembourg has been a supporter of UNMAS’ activities for many years now. 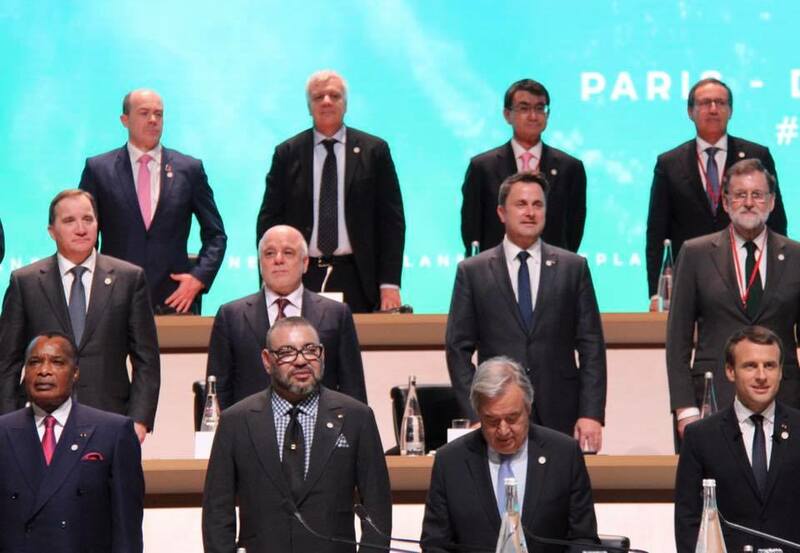 Luxembourg is also one of the 73 members of the Global Coalition against Daesh, and has in particular been making humanitarian contributions for the stabilization of the liberated areas. On 13 July 2017, Luxembourg became the first European country to adopt a legal framework offering private operators assurances in regard to resources they extract in space. 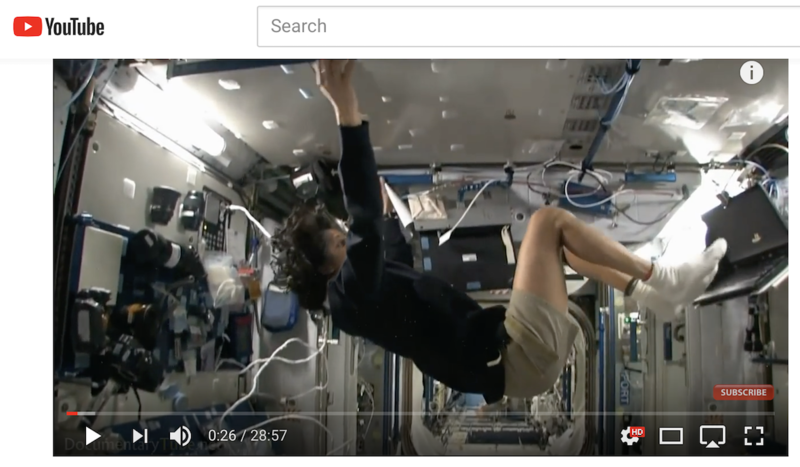 The law, which will come into force on August 1, 2017, also establishes the procedures for authorizing and supervising space exploration missions. 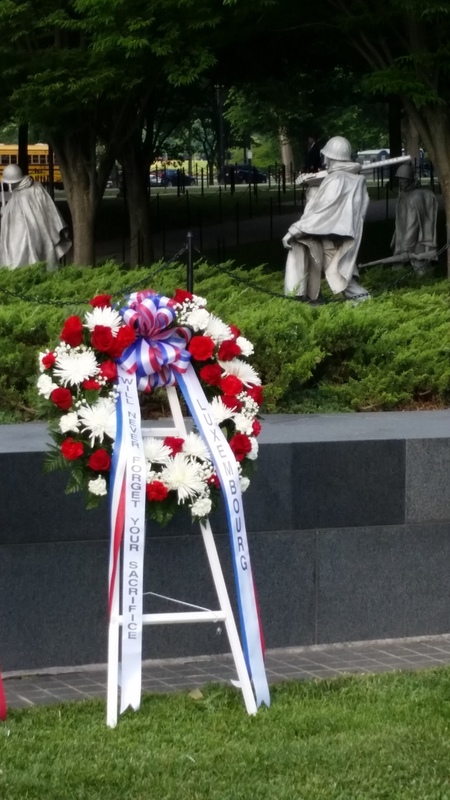 On June 25th and June 30th, the Embassy of Luxembourg took part in ceremonies held at the “Korean War Veterans Memorial” in Washington, D.C., honoring the memory of soldiers from 21 UN Sending States who gave their lives during the Korean War (June 25th 1950 – June 27th 1953). 85 soldiers from Luxembourg took part in the Korean War and were integrated in the BUNC (Belgian United Nations Command). 13 soldiers were wounded and 2 were killed in action: Sergeant Robert Mores and Caporal Roger Stütz. Sacred Heart University Luxembourg is the European branch of the main University campus of SHU in Fairfield, CT. The SHU Jack Welch College of Business offers the only US-accredited MBA program in Luxembourg, and its number of students is growing steadily. In 1991, there were 15 students, in 2017, there are 120, and they have 45 different nationalities. 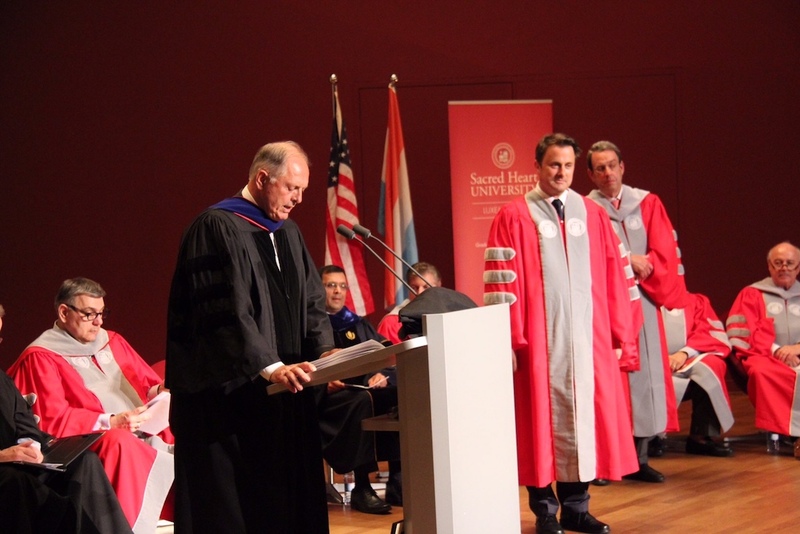 On 15 June, Sacred Heart University Luxembourg celebrated its 25th birthday with a ceremony at the Philharmonie of Luxembourg, with Prime Minister Xavier Bettel, who received a Doctor honoris causa, as a guest of honor. Luxembourg’s Finance Minister Pierre Gramegna participated in the OECD Council at Ministerial level on June 7th and 8th in Paris, which was placed under the theme of “Making globalization work: Better lives for all”, tackling issues such as inequality and the inclusion of those left behind by globalization, as well as the creation of a global level-playing field on fiscal transparency. In the context of the Ministerial, Minister Gramegna chaired a working group on how companies, especially SMEs, can take advantage of globalization, digitalization, and free-trade agreements. Minister Gramegna also participated in the signing ceremony, with over 70 other countries and jurisdictions, of the Multilateral Convention to Implement Tax Treaty Related Measures to Prevent Base Erosion and Profit Shifting (BEPS), committing to the automatic exchange of financial account information and the closing of legal loopholes. 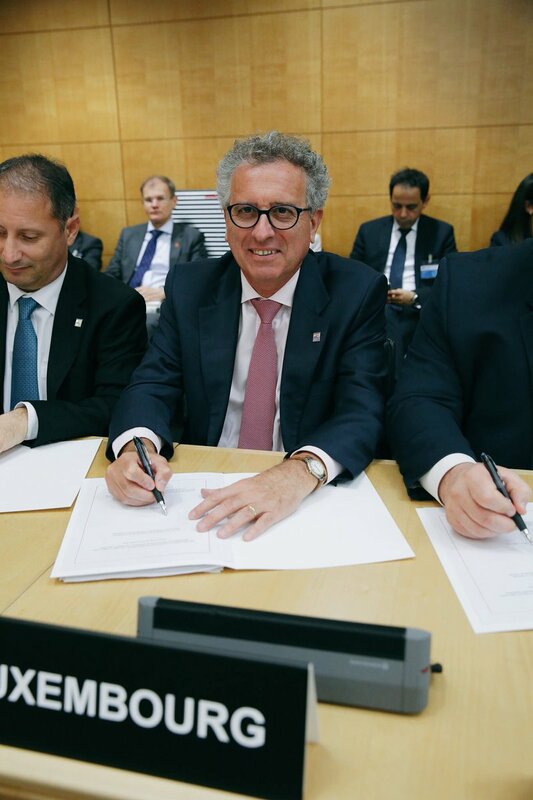 Furthermore, Luxembourg signed on to the optional protocols, which, as Minister Gramegna highlighted, demonstrates Luxembourg’s continued commitment to fiscal transparency and to the implementation of the G20 and OECD agendas in this area. 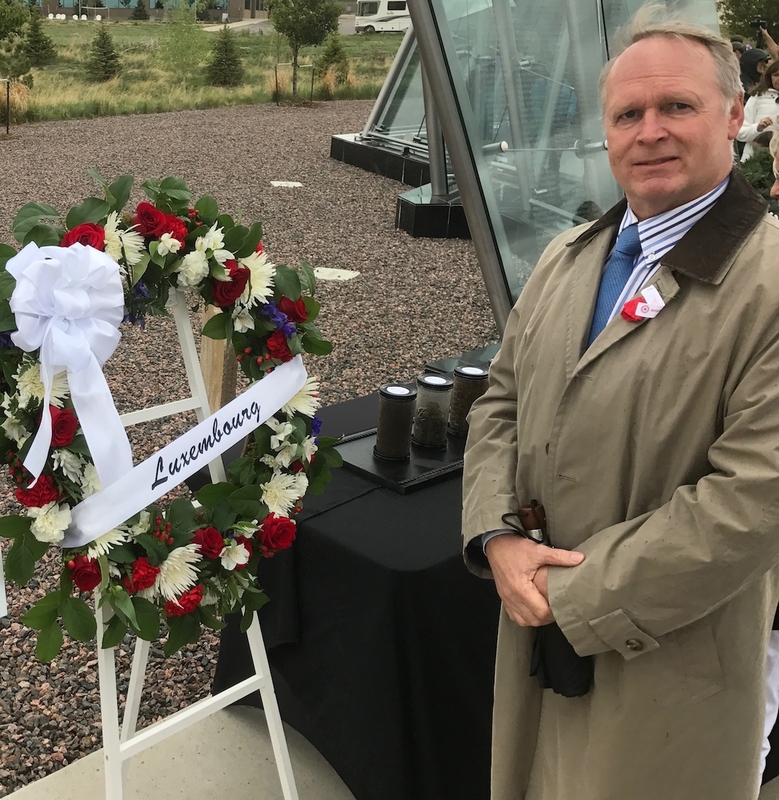 On May 27th, the Embassy of Luxembourg took part in a Memorial Day commemoration held at the “Colorado Freedom Memorial” in Aurora (CO), honoring the memory of soldiers from the State of Colorado who gave their lives during WWII. At the center of the remembrance ceremony was the dedication of soil gathered from military cemeteries abroad where Colorado soldiers are buried. Representing the Grand Duchy of Luxembourg, Consul Stan Myck handed over soil from the Luxembourg American Cemetery in Hamm, Luxembourg, where 52 soldiers from Colorado are buried, alongside more than 5.000 American service members, many of whom lost their lives in the Battle of the Bulge and in the advance to the Rhine River. 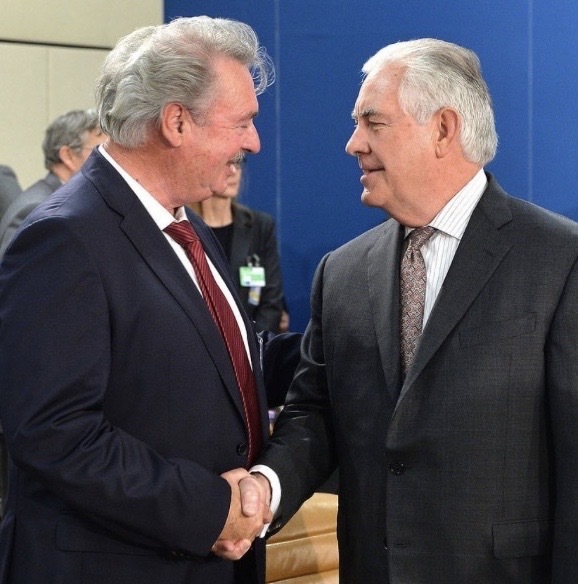 On 31 March, the Minister for Foreign and European Affairs, Jean Asselborn, participated in the NATO Foreign Ministers Meeting in Brussels, where he had the pleasure to meet the new US Secretary of State Rex Tillerson for the first time. The Ministerial, chaired by the Secretary General of NATO Jens Stoltenberg, was an opportunity to reaffirm the transatlantic alliance and to discuss the most pressing security challenges that the Alliance has to confront, with a view also to the Meeting of Heads of State and Government of NATO scheduled for 25 May in Brussels. Minister Asselborn and Secretary Tillerson briefly compared notes on issues of common concern and expressed the hope that they could soon meet for more in-depth discussions. In his intervention on the challenges that NATO faces, Minister Asselborn reaffirmed Luxembourg’s commitment to continue increasing its defense spending in a sustainable manner, while stressing the importance of a more holistic approach to security and reiterating the relevance of development cooperation as a contribution to stabilization and conflict prevention, and highlighting Luxembourg’s commitment in this field. 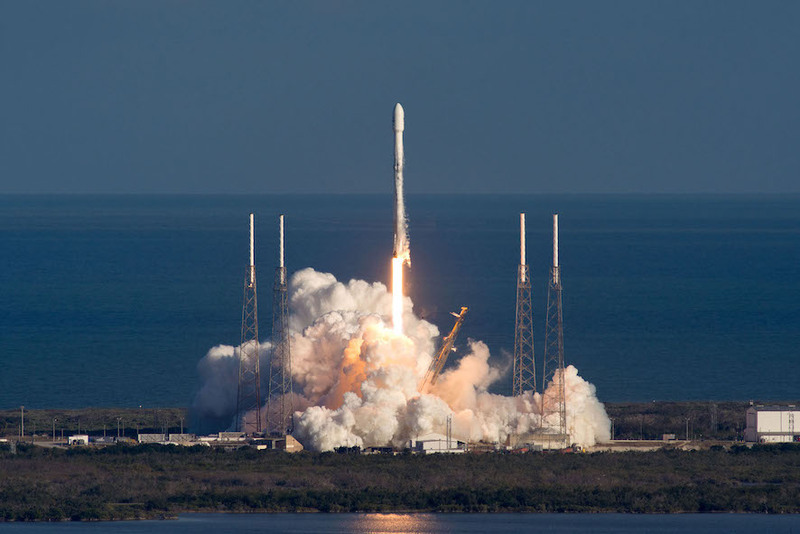 On 30 March, SpaceX successfully launched a used Falcon9s into space from Cape Canaveral, Florida, carrying a communications satellite for the company SES, which is headquartered in Luxembourg. SES-10 will deliver communications services to Latin America. The launch was historic for the aerospace industry as it was the first time that an orbital rocket, or a part of it – the rocket booster, has launched to space for a second time. The booster landed successfully again after the launch. Reusability of rockets or rocket parts will be important in bringing down the cost of space launch. SES and SpaceX have also partnered for another launch : SES-16/GovSat, a Government satellite ordered by LuxGovSat, a joint venture between the Luxembourg government and SES, which will offer dedicated military frequencies for multiple government-specific missions, including NATO missions, will be launched by SpaceX in the course of the second half of 2017. On 3 March, Moody’s Investors Service, the credit rating agency, has reaffirmed Luxembourg’s AAA rating, with a stable outlook. Luxembourg thus continues to be one of the very few countries to receive the highest credit rating from the three big rating agencies, S&P, Fitch and Moody’s, as well as from the DBRS credit rating agency. Moody’s indicates that the key drivers of this AAA affirmation are the resilience of Luxembourg’s economy, which has been growing at a higher rate than other euro area countries and many AAA rated countries; Luxembourg’s sound and transparent institutions, reflected in its effective financial regulatory framework and strong governance indicators, which have, according to Moody’s, safeguarded Luxembourg’s credit fundamentals in the face of several shocks over the past decade; and Luxembourg’s high fiscal strength, supported by fiscal surpluses. Finance Minister Pierre Gramegna reacted to the announcement by saying : “This affirmation of the AAA credit rating is good news for Luxembourg and further reinforces our country’s economic attractiveness. The rating contributes to the creation of new jobs. Moody’s rationale indicates that the maintenance of an AAA rating with a stable outlook is not self-evident, but the result of our policies. Our public finances remain resilient and allow us to look into the future with confidence.” In February, Fitch had also confirmed that it maintained its highest score for Luxembourg, a Triple A rating that is only awarded to 11 countries in Fitch’s latest round of scores. On March 3rd, the European Commission published the results of the 2017 Digital Economy and Society Index (DESI) , a tool presenting the performance of the 28 European Union Member States in a wide range of areas, from connectivity and digital skills to the digitization of businesses and public services. Luxembourg ranks 5th in the DESI 2017, which is a progression of 2 ranks. Luxembourg is one of the leading countries for connectivity, digital skills and Internet usage. 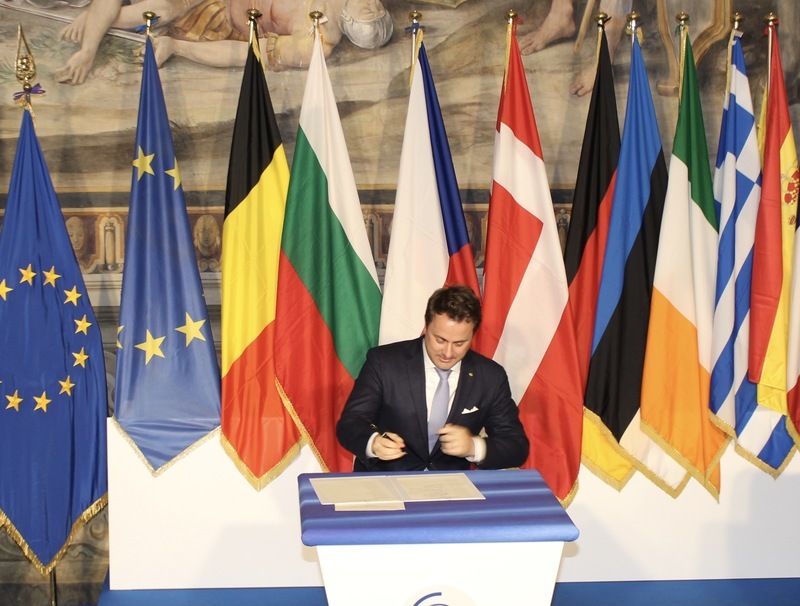 The European Commission thus states that "Luxembourg has reached a very high or even full degree of coverage both for fixed and fast broadband, and for mobile 4G broadband (…) and has a high level of digital skills, reaching pole position in terms of Internet users and individuals with at least basic digital skills and a very good position in terms of ICT specialists.” Xavier Bettel, Prime minister and minister for Communications and Media, welcomed this ranking, the result of "all the joint efforts undertaken for Luxembourg's digital development under "Digital Lëtzebuerg" , and of the nation's passion for digital technology". Following the events in Ukraine, decisions to address the security concerns of the Allies were taken at the NATO Summits in Wales and Warsaw. In Warsaw, NATO committed inter alia to maintaining a multinational military presence in the eastern and southeastern parts of Alliance territory. In the context of this Enhanced Forward Presence, four multinational battalion-size battlegroups will be deployed on a rotational basis in Estonia, Latvia, Lithuania and Poland. Luxembourg will participate in the deployment to Lithuania during the second semester of 2017. From 1 July 2017, and for six months, the Luxembourg army will contribute a transportation squad to the multinational battalion led by Germany, of which Belgian and Dutch troops will also be part. The Grand Duchy will also contribute satellite capacity to the battalion operating in Lithuania. Four members of the Luxembourg army specialized in information and communication systems (SatCom) will install a satellite link between the command post of the battalion in Rukla and the Bundeswehr’s operational headquarters in Potsdam in Germany. During the second half of 2018, a reconnaissance squad will be integrated into a German company. On February 1st 2017, a group of 46 Syrian refugees, 25 adults and 21 children, arrived in Luxembourg in the framework of the resettlement agreement of March 2016 between the European Union and Turkey. The agreement’s main purpose was to stop refugees from attempting the dangerous cross-over from Turkey to Greece by sea. Like the other EU countries, Luxembourg works closely with the United Nations High Commissioner for Refugees (UNHCR) to select and vet those that are to be resettled, and grants them the refugee status defined by the Geneva Convention of 1951. In line with the commitments undertaken by the Luxembourg Government, and as part of a broader effort, further resettlements are foreseen in the course of the coming months. The US Holocaust Memorial Museum hosted a commemoration on the occasion of International Holocaust Remembrance Day that Ambassador Lucas was honored to participate in. 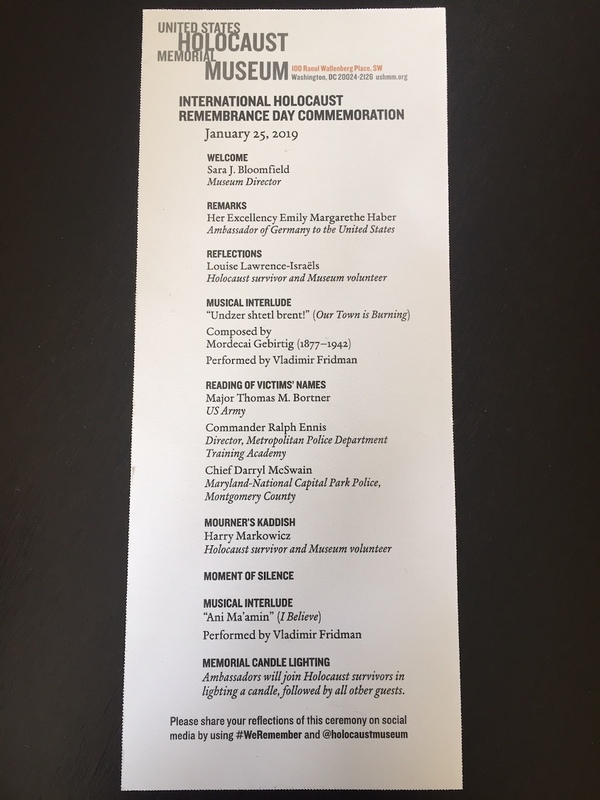 The program featured, among others, remarks from the Vice Chairman of the Museum, Allan Holt, touching reflections by holocaust Survivor Josiane Traum and a Memorial Candle Lighting, where Ambassadors joined Holocaust survivors in lighting candles. In 2005, the United Nations General Assembly designated January 27, the anniversary of the liberation of Auschwitz-Birkenau, as International Holocaust Remembrance Day. On this annual day of commemoration, the international community keeps the memory alive and honors the victims of the Nazi era, but also recalls the crimes of genocide committed since the Holocaust and reaffirms its resolve to prevent the recurrence of such crimes. The World Economic Forum (WEF), in its regular report on Inclusive Growth and Development, introduces a new global index, the Inclusive Development Index (IDI), which shines a light on the many factors that can drive a more inclusive growth process, such as education, infrastructure, ethics, investment, entrepreneurship and social protection. The IDI ranks the world’s advanced and developing economies based on their performance against key performance indicators ranging from poverty, inequality to public debt and environmental factors. Luxembourg stands at position 2, behind Norway and in front of Switzerland. Luxembourg’s position, according to the WEF, is driven by robust growth and employment, high median living standards, strong environmental stewardship and low public debt. On 6 December 2016, Secretary of State John Kerry participated in his last NATO Foreign Ministers’ meeting in Brussels. 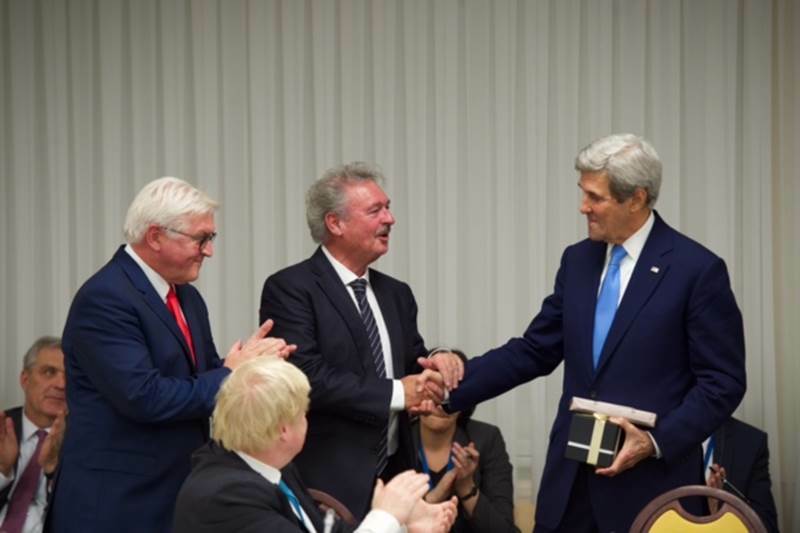 Jean Asselborn, the dean of NATO Foreign Ministers in terms of years of service, had the honor to bid farewell to John Kerry on behalf of all his colleagues and to thank him for the years of excellent cooperation within NATO. The NATO Ministerial was an opportunity for Ministers to take stock of the implementation of the commitments made at the July Warsaw Summit, to discuss the reinforced cooperation between the European Union and NATO through the implementation of the Warsaw EU-NATO declaration, and to exchange views about the security challenges that the Alliance faces and the progress made in projecting stability beyond NATO's borders. 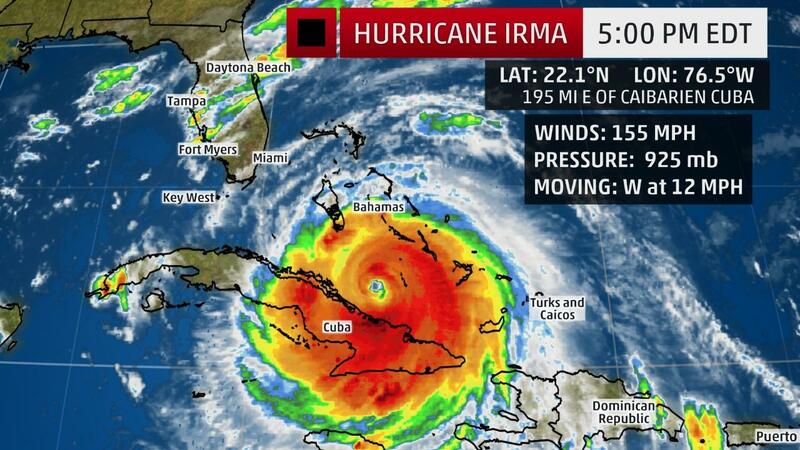 The Luxembourg Minister for Development Cooperation, Mr. Romain Schneider, has decided to allocate emergency assistance in the amount of 500,000 EUR to Haiti for assistance to the victims of hurricane Matthew, a category 4 hurricane that hit the island on 4 October. Luxembourg's aid will be implemented through Luxembourg's humanitarian partners and Luxembourg NGOs that have been active in Haiti for long years. Luxembourg is also deploying two emergency telecommunication systems of the emergency.lu project to Les Cayes in Haiti, upon request by the World Food Programme, to provide communications capacities to the humanitarian actors on the ground and help the Haitian government to reestablish communication services in the hardest hit regions. The first emergency.lu terminal, which was set up by volunteers from the Luxembourg civil protection administration, is operational since October 16th. On Tuesday 11 October, on the first day of its new session, the Luxembourg Chambre des Députés unanimously ratified the Paris Agreement on climate change. Luxembourg thus joined the 75 other Parties that had already ratified the Agreement by that date. The Agreement will enter into force on 4 November 2016, just before the COP22 meetings in Marrakech in November. In her speech to Parliament, the Minister of the Environment, Mrs. Carole Dieschbourg, announced a consultative process with all stakeholders in Luxembourg to support the Government’s efforts to reach the national goal of reducing greenhouse emissions by 40% over 2005 levels by 2030. In this context, Minister Dieschbourg also recalled the commitment by the Luxembourg Government to contribute a cumulative amount of EUR 120 million over the 2014-2020 period to international climate finance. 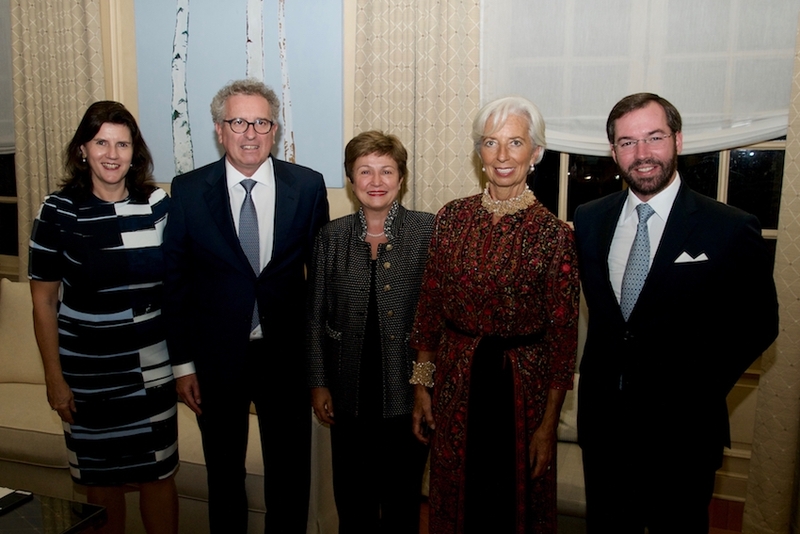 The Minister of Finance, Mr. Pierre Gramegna, visited Washington from 6 to 8 October to participate in the fall meetings of the IMF and World Bank, in his capacity as Governor of Luxembourg of the two institutions. 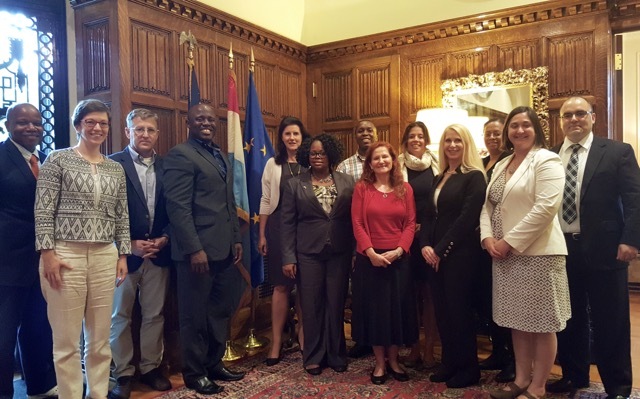 A group of USAID and DoD officers, led by Ned Filipovic, Language Program Manager of USAID, visited the Luxembourg Embassy on September 19th for an hour of conversation in French. The group is taking a French immersion class, in preparation of future assignments in francophone countries. Ambassador Lucas gave a presentation of Luxembourg and its foreign policy priorities and discussed the challenges that the European Union faces. 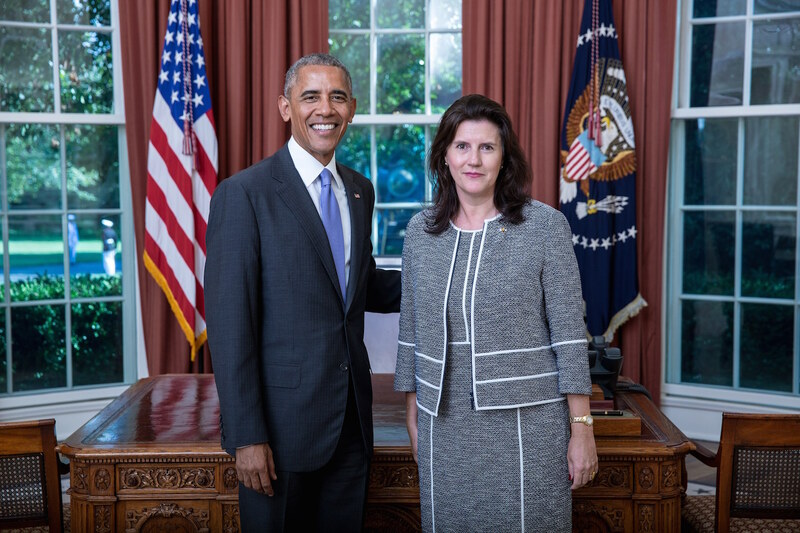 On September 16th, 2016, Ambassador Sylvie Lucas presented her Letter of Credence to President Barack Obama, thus becoming the 14th Ambassador of the Grand Duchy of Luxembourg accredited to the United States of America. 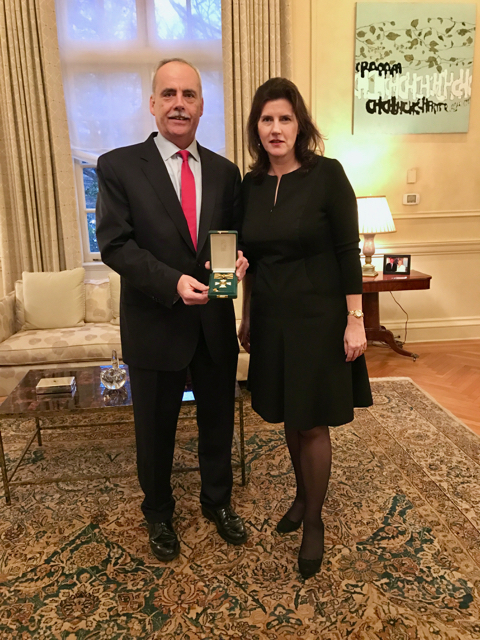 The credentialing ceremony at the White House was an opportunity for Ambassador Lucas to confirm her determination to contribute to the further strengthening of the bonds of friendship and cooperation that exist between the United States and Luxembourg, and to highlight her priorities for her stay in Washington, DC. President Obama recognized Luxembourg for its moral and diplomatic leadership and its reputation as an honest broker and effective mediator, most recently on the UN Security Council and during Luxembourg’s Presidency of the EU Council. Please click this box for further information. Highlighting the numerous opportunities available to investors and clients from around the world.